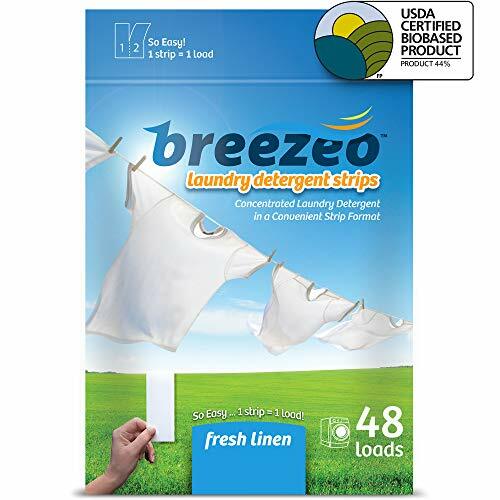 Concentrated laundry detergent in a convenient strip format. Easier than liquid, powder, pods, packs or pacs! Dissolves completely in hot or cold water and can be used in either standard or HE machines. Great to take along when you travel - whether you're camping, backpacking or going via plane! Space saving product for smaller dwellings such as apartments, dorms, senior living and urban areas!